Heeft u een vraag voor Namsan Hill Hotel? Een kwaliteitsaccommodatie voor wie geïnteresseerd is in restaurants, winkelen, bezichtiging van bezienswaardigheden: het Namsan Hill Hotel in Seoel is een prima adres voor zowel zakelijke reizigers als toeristen. Vanaf hier kunnen gasten genieten van eenvoudige toegang tot alles wat de levendige stad te bieden heeft. Niet minder uitzonderlijk is het feit dat zoveel attracties en monumenten in de buurt liggen, zoals Seoulsi Kyoyuk Yongujungbowon, Seoul Wetenschap Park, Ambassade van Thailand. Bij het Namsan Hill Hotel staan de excellente dienstverlening en superieure faciliteiten garant voor een onvergetelijk verblijf. Terwijl u verblijft in deze geweldige accommodatie, geniet u van faciliteiten als gratis wi-fi in alle kamers, draagbare wi-fi verhuur, taxi service, 24-uur receptie, snel in- en uitchecken. De ambiance van het Namsan Hill Hotel weerspiegelt zich in de inrichting van de kamers. plasma tv, draadloos internet (gratis), airconditioning, verwarming, bureau zijn slechts enkele van de faciliteiten die u ter beschikking staan. Daarnaast garanderen de talrijke recreatieve mogelijkheden dat u zich tijdens uw verblijf kunt vermaken in het hotel. 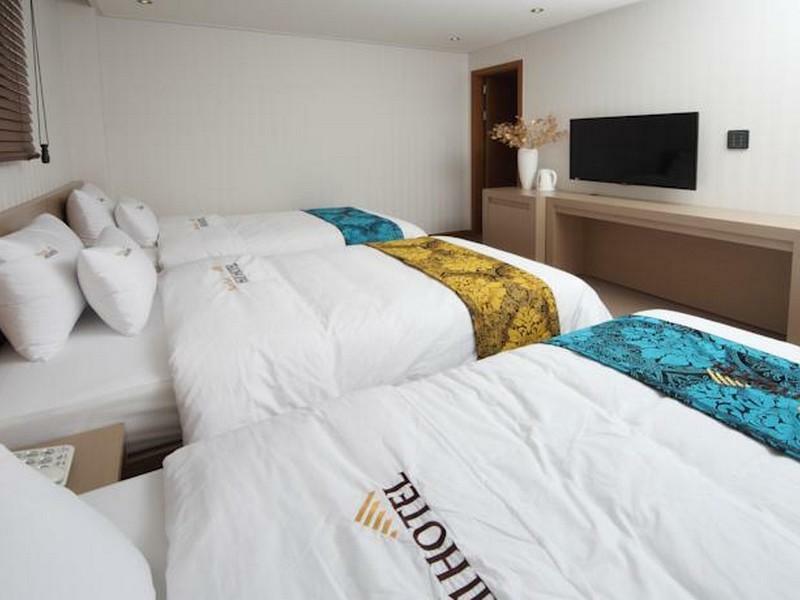 Fantastische faciliteiten en een uitstekende locatie maken het Namsan Hill Hotel de perfecte uitvalsbasis om van uw verblijf in Seoel te genieten. Parkeren is niet beschikbaar bij deze accommodatie. Offsite parkeergelegenheid is beschikbaar tegen 15000 KRW per nacht. We stayed at this hotel for 5days and it really an awesome, staff are nice, and very attentive to your needs, room is clean and breakfast is yummy. location is very accesible, we'll definitely come back here.. Thank you for your honest comments. We are delighted to have a good time during your stay. I will do my best. We are stay this hotel 7 night, i like so much thier room service, everyday when i back to hotel, they are clean the room like new room, very tidy and clean.Staff are very friendly and helpful, exspecially 1 of the Chinese staff Mr Lee. Location is satisfy, walk abount 15-20 minute to Myeandong walk street ,overall this is a valueable hotel,if we come to Korea again sure will stay this hotel again. We are stay this hotel total 7 night for family room . 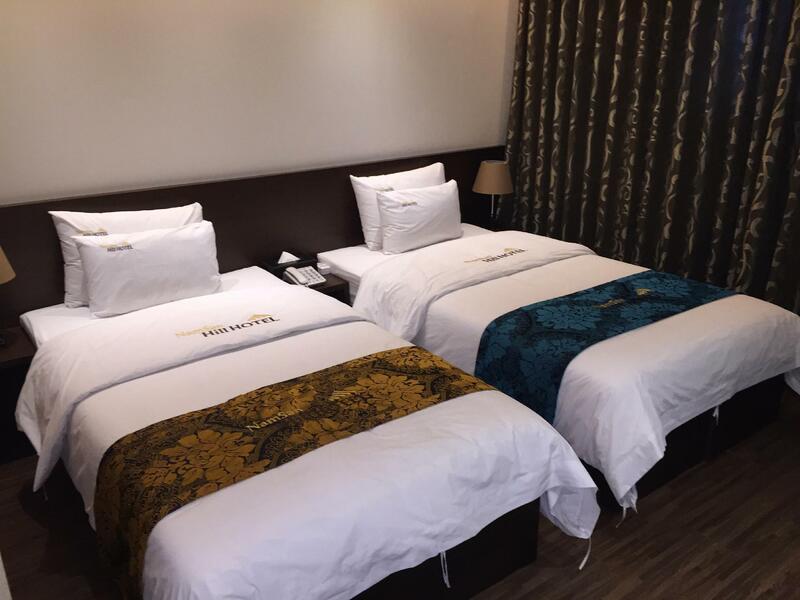 We like this hotel so much, there are very clean, nice, comfirtable hotel, room size is sayisfy, staff is very friendly and breafirst simple but very nive. Location is nearby Myeangdong walk street, overall all my family member will choose again if we travel at Korea. The location is in the middle of Namdaemun and Myeongdong on top of the hill. It might be a struggle to climb the hill but if you are ok with that, this hotel is good. There are plenty of restaurants and convenience stores nearby. It is about 10 minute walk to Namdaemun Market and Shinsegae. It is about 15 minutes walk to the Namsan Tower entrance and about 15 minutes walk to Myeongdong. Location is very safe. Breakfast is ok especially if you are a light eater. They provide unlimited coffee and water in the cafe but they only have basic bath supplies (no toothbrush) so better bring one. Overall, the hotel is ok for the price. I'll definitely stay here again if I'll go back to Seoul. Stayed here for a couple of days. Take a cab going there as bringing your luggage uphill will be a challenge. Near Myeobgdong and local market. Many good and cheap food choices nearby. Must try is the Under The Sea Buffet at the basement of a nearby building near the train station Yeongye. 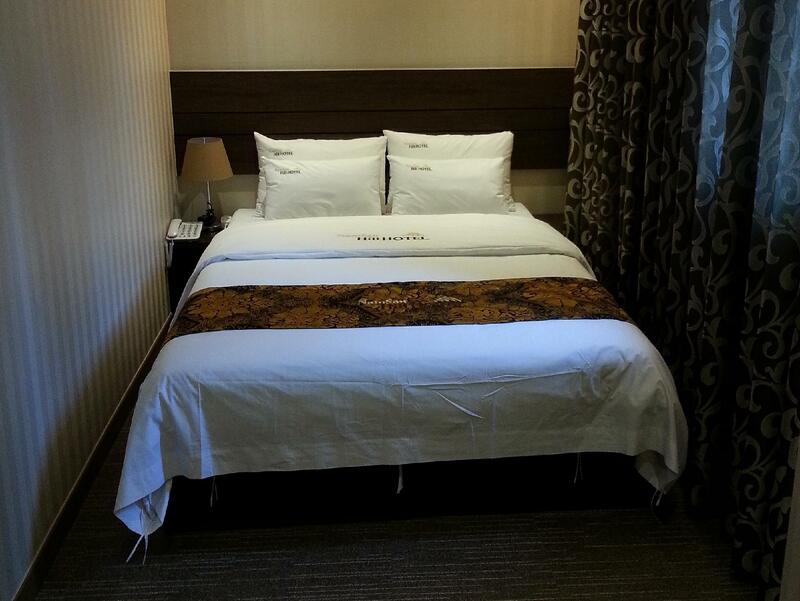 this hotel is located near subway station and four palaces, so it's very convenient to travel round palaces. Staffs are kind and breakfast is good. The room were clean and breakfast was included. The beds were incredibly firm, but we slept well. Steps away from markets, close to the subway, and a cab station. Thank you for your valuable feedback. We will check for improvements and correct them. Thank you. 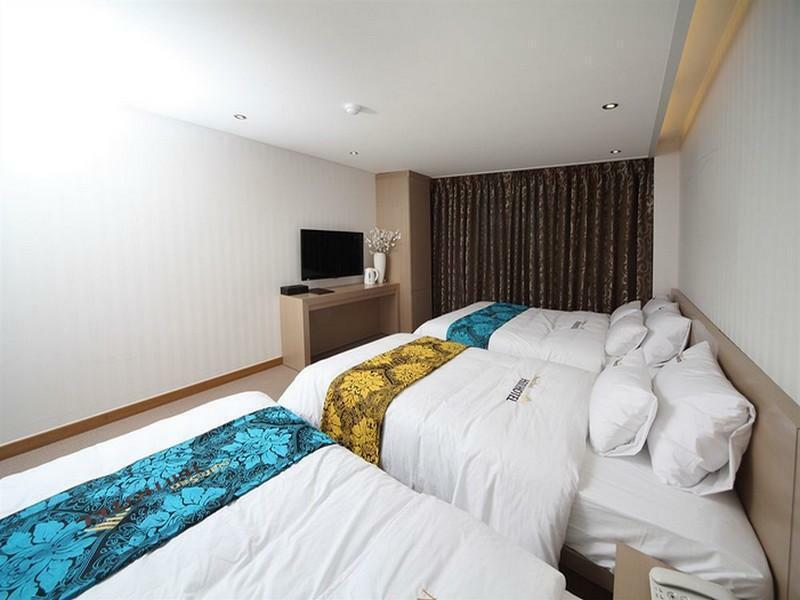 booked this hotel for 9-11 July, it's hard to find this hotel (but only 10 minutes from station & near myeongdong), we checked in & when we saw our room really dissapointed (we booked for 1 double bed & 1 single bed, and reality is 2 single bed) they said i booked for double room (exactly @agoda they wrote 1 double bed & 1 single bed), okay then we paid more for 3 persons. After we paid for 3 persons, we saw our new room again, and only 2 single bed again! only room size more big, sigh! Really disappointed! And they never give us bath soap, shampoo, tooth brush, and other equipment which is every hotel has it. Another problem when we check out, they said my other family slept in our room (so there are 6 people sleep in our room, they said). hello?! how can 6 people sleep in 1 room and only 2 single bed?! They came to my room at 00.30 am and my family came to my room only chit cat, after that they are came back to their hotel. And THIS HOTEL STAFF only knock our door and ask "6 people in your room, you must paid for it". Only that!. and when i check out, they said i should paid for 6 people!!!! but they NEVER OFFER me for additional room!!!! and they NEVER SEEN my family (6 people) sleep in 1 Room! My question is HOW CAN 6 PEOPLE SLEEP IN 1 ROOM??! They can not give us their CCTV, but they want to us paid for it!!! After we paid, we just say "bad hotel we've ever had!! we travel for many countries and this is the worst hotel!" It is very easy to find this hotel using smartphone application such as Google map because this hotel doesn't face main road or boulevard. Or it may be hard. All staffs are very kind and friendly. Facilities are simple but very clean. 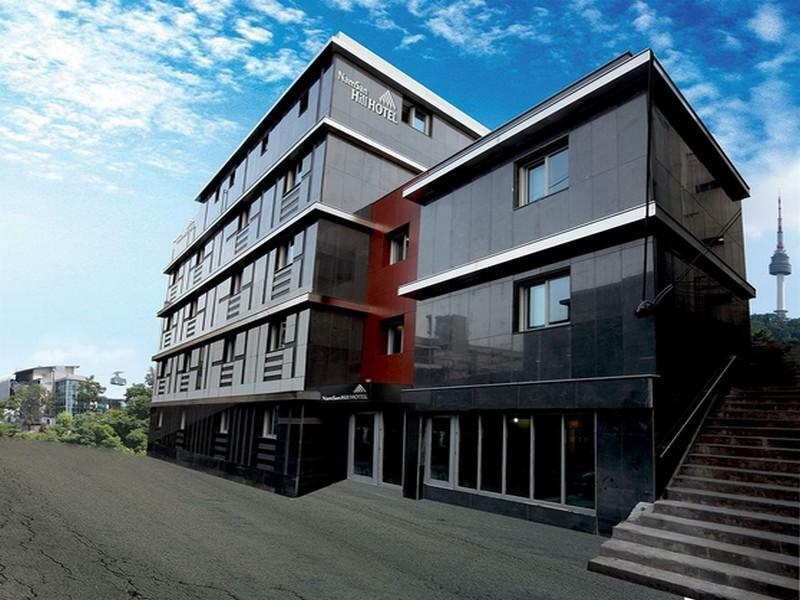 This hotel is located at northern side of Namsan. So it is very convenient to take a cable car to N Seoul Tower. In addition, very good to access Myeongdong for shopping, Cheonggyecheon(stream) and Deoksugung(palace) for strolling and enjoying beauty of harmony of tradition with mordern, nature with city! Pleasant all due to the Hotel Staff service, especially the 2 gentleman on night duty and early morning duty. Always willing to explain and help. Both can speak good Mandarin which also help a lot in our stay there. Well done. Breakfast is standard juice/coffee/tea, soup/porridge, scrambled eggs, hotdog, toast, jam, ham. Location is walking distance from Hoehyeon Station exit 1 (5mins), Myeong-dong (10mins) and Namsan cable car to Namsan tower (7mins). All the male reception staffs are very friendly and polite and can converse well in mandarin. However location of hotel is slightly uphill, will be quite difficult to travel there if you need to pull your luggage up. Near to eateries, 7-11 and GS25 stores. Room spacious enough to open 2 luggage and still have walking space. Recommended to bring your own power extension plugs as there are very few ports to tap electricity for charging. Hotel was near to convenience stores, restaurants and street markets (underground market and myeongdong market). Food during breakfast was quite redundant. They would only change the soup and side dish. Just 5 minutes walk away from Myeongdong street, Namsan Hill Hotel has provided a very comfortable place for me and my mom. The room is very spacious and clean. The ambience is very relaxing it feels that i am in a mini executive room. They also have very helpful staff and they can understand and speak english well. They are also sensitive of the guests' needs that sometimes I do not have to request or ask. I also discovered that the cable car going to the N Seoul tower is just 5minutes away from the hotel. Breakfast is also good a combination of western and korean (suitable for picky eaters like me). They have exceeded my expectation considering the cost per night. I will surely be back at Namsan Hill. Very Good Location, Clean Room and Great Service. Hotel location is walking distance to nearby attractions. Quiet environment in busy central Seoul. I had an enjoyable stay in this hotel. Quiet environment (had a good night sleep) even though it is located in busy central Seoul and 5-10 mins by taxi ride from Seoul Station. 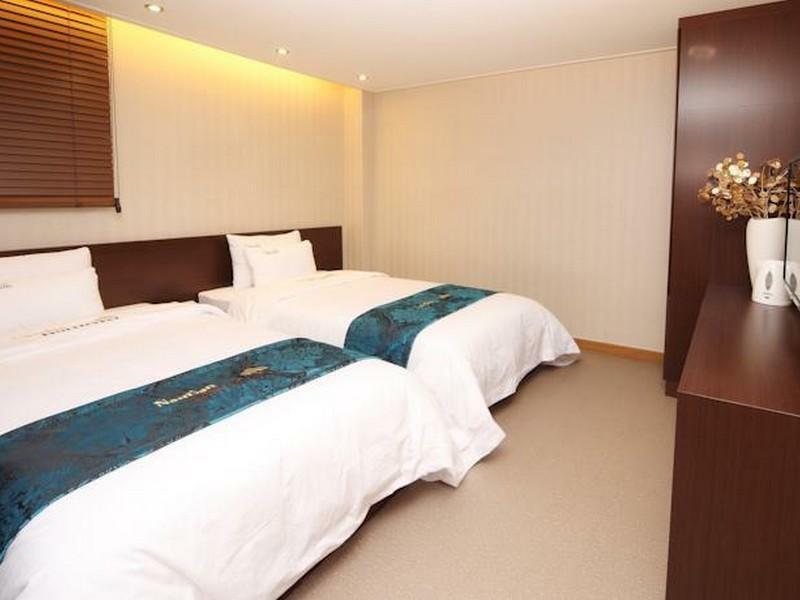 Hotel is located within walking distance to Hoehyeon Metro station (Exit 1), Namsan Cable Tower, Namdaeuman Market and Myeongdong shopping district. Plenty of eatery shops around hotel. Hotel room is very clean, warm and comfortable in winter time. No communication problem as the staff speaks English and Mandarin. Staff were friendly and one of the reception guys was a Chinese-speaking Korean. Breakfast was unique and delicious. The room was very clean. I have to say we started off the wrong foot but by the end of the stay the staff had totally redeemed the hotel. At first we encountered a bit of a booking problem because they couldn't find our booking in the system! We were of course a little upset because we wanted a twin and they only had a double. And plus the location was confusing even for the taxi driver who had switched on the GPS and still drove into a dead alley lol. But luckily the reception guy was sincere and apologetic and refunded us a small part of the payment for downgrading our booking. All that aside, the room was really clean and cosy. The aircon was strong. The TV screen was appropriately sized and had so many channels. The breakfast was nice too, for the price. The best part was when we checked out, the owner either wanted to make up for the initial mishap or felt sorry for how confused we looked trying to locate the airport bus, so he offered to drive us to the nearest bus stop. Which he didn't have to! I thought that was sweet. Very clean, well maintained, friendly staff and kind Mr Cheng gave free shuttle service to Seoul Station.